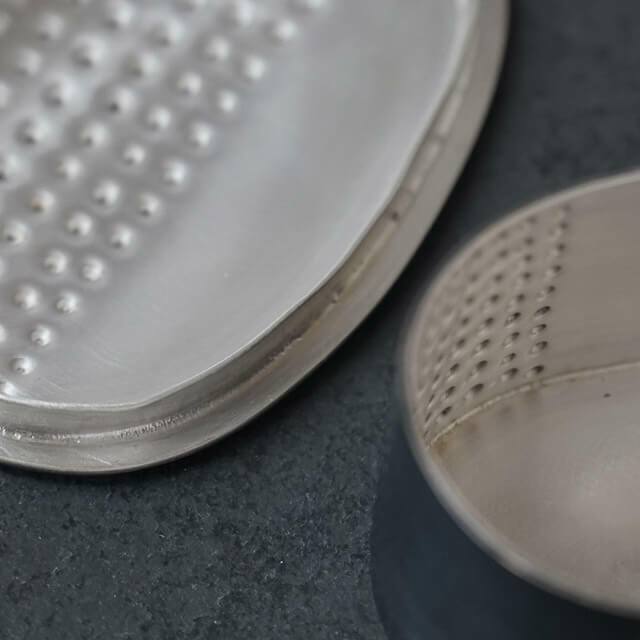 The small oval box itself is crafted from oxidised and brushed silver. On top, the lid has been matt finished in vitreous enamel to look as if the glass has been tumbled and frosted in the sea. Marks picked out on its delicately textured surface evoke those made by the tide on the Scottish shoreline. 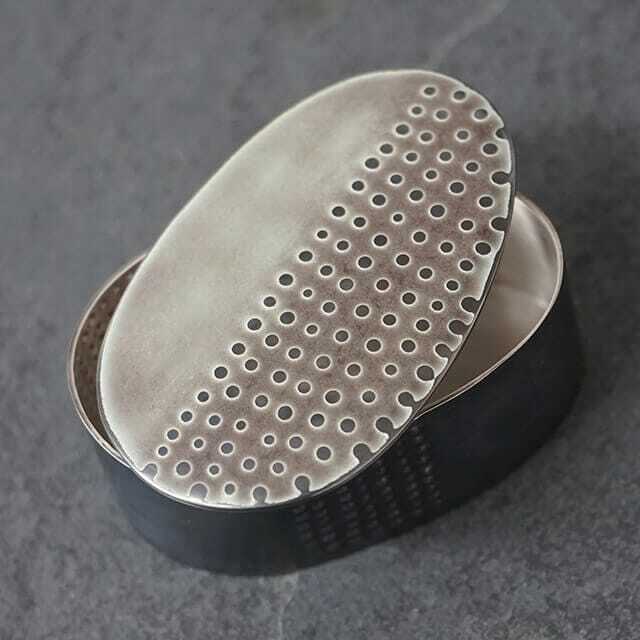 Enjoy simply gazing at this beautiful little silver box or use it to store tiny treasures such as earrings, cufflinks, baby teeth, stolen diamonds… the choice is yours. Caroline’s tactile and eye-catching creations are infused with the colours and shapes of the coast. Living creatures and fishing boats were the inspiration sources for this design in particular. 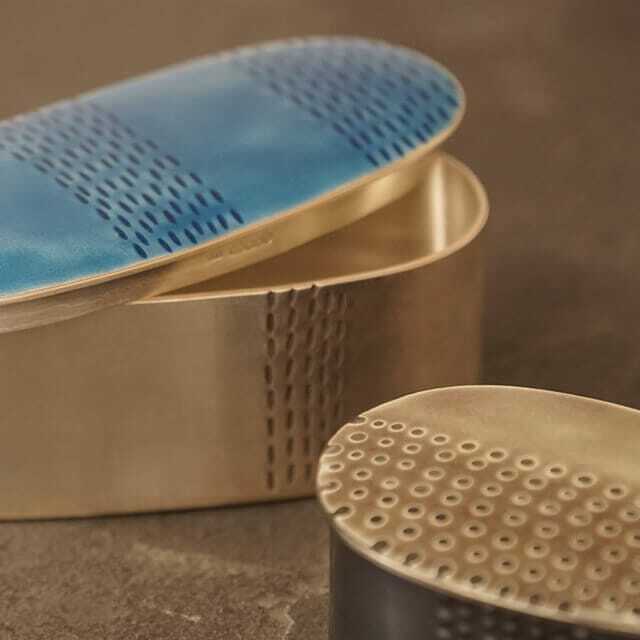 A more recent addition to Caroline’s range of unique silver and enamel jewellery, her boxes look wonderful alongside other pieces in the collection.